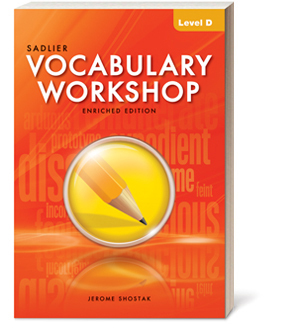 Provide test prep with the NEW Vocabulary Workshop Test Prep booklets—in print and digital formats. Help students master the critical reading skills measured on current standarized tests including the SAT® and ACT® tests. Also available as an Interactive Edition! Vocabulary Checkers is fun and easy to play for all students in any grade! This game is a great review of vocabulary words and can be played by two or four players. Get sophisticated with Word for That Vocabulary Activity! Encourage students to change words and phrases they use by coming up with precise and sophisticated vocabulary words.